Longinus isn’t your typical assassin. He’s a gentleman assassin – the most elegant assassin in Damsport. As such, he doesn’t rely on messy methods of killing, like using swords or daggers. No, no, real assassins use poison. Of course, the fact that Longinus can’t stand the sight of blood has nothing to do with his preference. But when orphaned waif Rory discovers his secret, Longinus is blackmailed into teaching her how to sword fight. As if that wasn’t embarrassing enough, a mysterious rival assassin is taking credit for Longinus’s kills – and copying his poisons. When Rory and Longinus realize they’re the assassin’s next target, it’s a race against time to uncover the impostor’s identity … but they discover far more than they bargained for. I have to admit, this book was a surprising delight. I love sassy characters, and let me tell you: both Longinus and Rory are as sassy as they come. This isn’t a typical steampunk either – rather, it’s more of a low fantasy with steampunk flavor. I heartily approve of the mix, and the mystery element was also fairly well done. I did have one or two moments where I felt things were a little too convenient – but overall, it didn’t interfere with my enjoyment of the story. If anything, it probably added to the humor: I would snort to myself and roll my eyes … but kept right on reading. 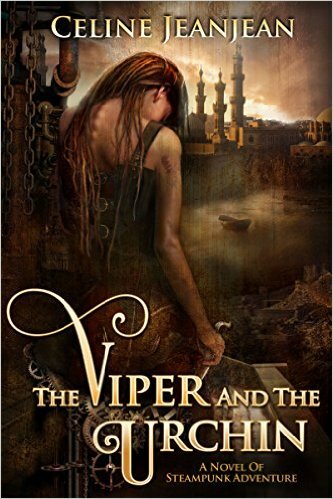 This entry was posted in Uncategorized and tagged book review, Rosie's Book Review Team, steampunk, The Viper and the Urchin. Bookmark the permalink. Great review. I loved this book too! 😀 I saw your review while I was reading it. I totally agreed with your opening statement, where you were hooked at the sentence: “Is it really too much to ask that the common dockworker experience a faint malaise in my presence?” Totally sold the whole book at that point. Love your review! Is the author independent? I would love to support, if so. You know, I’m not sure. I think so? I am independent, yes. That’s so kind of you to offer to support my work – if you read the book I hope you’ll enjoy it! Ah, see? Yes, she’s independent. Brilliant review Crystin, so glad you enjoyed the book. There are mentions of steam ships, rail cars, and one scene with a mechanical ‘spider’ vehicle. I think that was pretty much it – it didn’t really feel like a steampunk to me, more like an early industrial fantasy. I don’t even think there were guns, just swords and crossbows and stuff. Oh, excellent! 🙂 I’ll have to check that out, then. Thank you again for the lovely review Crystin! No, no, thank you for the delightful story! I’m looking forward to the next one! could I use it for my own reviews through Rosie? Sure, I don’t mind! 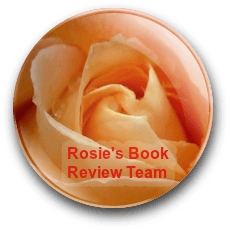 The honest review part is pretty common among reviewers, and the second part is because I think more readers and book bloggers need to find Rosie’s site. Here’s my second entry into the #ocwickedking photo challenge: I adore this wood wick candle: it smells amazing, and sounds like a mini campfire when lit! I had a pretty cozy night a few weeks ago, listening to the candle and rain while reading ... so relaxing. 🔥 I had a ton of fun setting up this picture. The light was great, and the colors turned out perfect: #nofilters! New feature: monthly book recommendations! Vacation finally comes to an end.